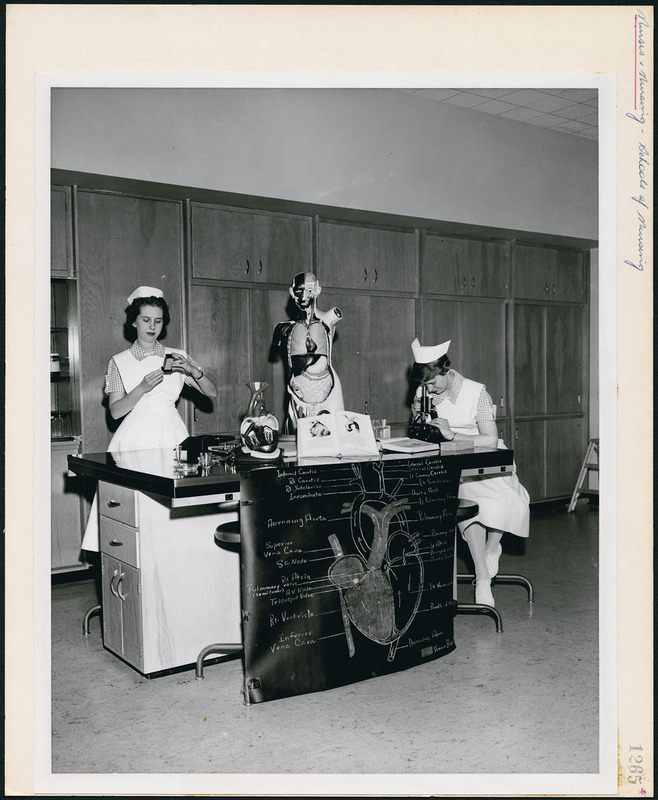 Two student nurses studying in a lab. Nurses and Nursing – Schools of Nursing. Department of Citizenship and Immigration, Information Division.